Our FLL airport service is incomparable because of our incredible attention to detail. Since 2007, we have led the market in luxury airport transportation options for Fort Lauderdale. We strive to provide the best transit for the best customers on the planet, and we guarantee that you will not be disappointed if you give us a chance to transport you in style. or begin your booking process. If you were in the market for luxury transportation in the Fort Lauderdale area, you may have noticed there are many options available. However, we feel lucky to have the opportunity to demonstrate just how dedicated we truly are. Since we founded our company, we’ve given transit solutions to tens of thousands of customers, many of whom have written testimonials by their own volition. If FLL airport transportation is on your schedule, you will not find another provider with such intense devotion to customer care. No matter the day of the year or time of day, we are here to provide FLL airport transportation solutions. We can conduct pickup and drop-off to the Fort Lauderdale airport or any other ports of departure in the area. We operate a fleet of sumptuous and lavish stretch limousines and luxury sedans, all of them positively immaculate. We aim to deliver the best, and our aim is true. You will find no company more dedicated or professional in Broward County. Do you need to connect between different airports in south Florida area? Are you arriving at FLL airport, but subsequently departing from Miami or some other point of departure? As complex as it might seem on paper, this type of airport transfer is quite simple. That is, assuming you have a partner who knows the highways and byways of Broward County and is dedicated to on-time, luxurious customer service. There is no one better suited to this task than us. We’d love to have the chance to prove it to you. Our limousine fleet is spotless and decisively well maintained. 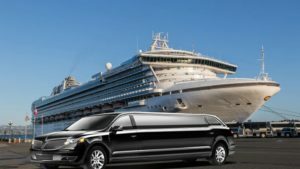 We offer Lincoln Town Car stretch limos, Hummer stretch limos, luxury buses, and party vans, all of which come equipped for maximum customer comfort and enjoyment. You and your party will enjoy music of your choosing, opportunities to view DVDs and other media, and complementary bar service during your trip. You’ll find that no problem is irreconcilable when you have a top shelf drink in hand and can relax amid sumptuous leather upholstery. Any experienced traveler can tell you that airport taxi service is often expensive, unreliable, unpredictable, and crowded. However, it doesn’t have to be that way — in fact, in Broward County and Fort Lauderdale there is a clear-cut solution to these problems. Our premium limousine service will take out the unpredictability of airport travel and leave you instead with a kind of rolling vacation, a luxury experience beyond compare. If you are flying into FLL airport, let us be your airport taxi provider. As a discerning customer, you have a plethora of choices when it comes to ground transportation. They are our ridesharing apps, telephone taxi services, Internet travel options, and various other businesses competing for your attention. a chance to prove this statement.